Industrial Water & Wastes Digest’s (iWWD) November 2016 issue featured Victaulic high-density polyethylene pipe (HDPE) solutions at a new saltwater disposal (SWD) facility in northern Texas. 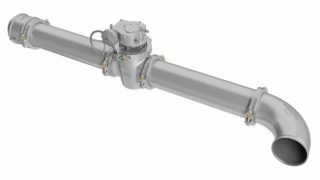 The article highlights the benefits of using HDPE pipe and mechanical couplings instead of fusing at the Atlas Resources Hamman Saltwater Disposal Facility in Jacksboro, Texas. Severe rainstorms, tight spaces in between tank batteries and several other challenges were overcome by using Victaulic HDPE solutions – all while reducing material costs. As a result, the SWD facility was recognized by the Plastic Pipe Institute (PPI) and received the Energy Piping Systems Division Project of the Year Award. 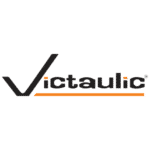 Victaulic accepted the award at the PPI annual membership meeting in May. You can view the article online at Water & Waste Digest’s (W&WD) website or click here to view the piece as it appeared in iWWD. iWWD delivers trends, applications, case studies, new products and emerging treatment technologies to decision-making professionals in the industrial water and wastewater industry. iWWD is distributed as a supplement of W&WD. W&WD is the preeminent source of information for water and wastewater professionals.